I would say this is one of the lesser known war movies but that says nothing about its quality. 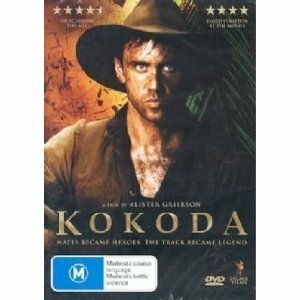 I already mentioned this movie for its portrayal of a soldier who is unable to shoot. Lighthorsemen is wonderful for many reasons. It tells the true story of the Australian Cavalry´s participation in WWI in Palestine. British and Australian troops had to confront the German and Turkish forces. The Light Horse had already fought in many battles, among them at Gallipoli. The movie´s realism is convincing. The character portraits are nicely drawn. One soldier is more likable than the other and we slowly get to know each one in the regiment, and follow them from the early beginning to the battle scenes. This is one of those movies in which you really care about the protagonists. There is even a love story between Dave, the soldier who can´t shoot, and a nurse but it is discreetly kept in the background. 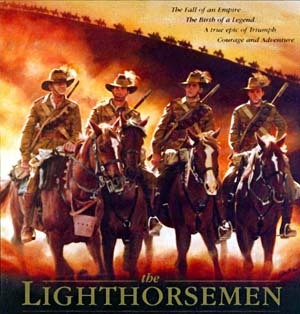 The essential story line of Lighthorsemen follows the 4th Light Horse Brigade in Palestine in 1917 until the battle of Beersheba where they achieve what 60000 infantry men could not do. They break through the entrenched infantry and free the city. This is not an easy endeavor. The heat is scorching, water is scarce and it is a massive strain on the horses. The battle scenes, especially the final charge, are really exciting. We see the whole regiment fly along under the line of fire. A fabulous scene. I am not sure it is a 5 star movie, but it certainly is a solid 4.5. And, maybe surprising for a war movie involving combat, it has a certain lighthearted quality and cheerfulness stemming from the fact that those nice lads manage to achieve the impossible. Was I a bit cryptic? Hope so. Just want to lure you into watching this fine film.